If you're looking for a big breakfast, with a little French flavor, make your way of the many Patisserie Valerie locations around London to get your fill. This popular little chain is set up to resemble a Parisian cafe circa 1920, with authentic looking decor complete with the delicate pastries counters displaying lovely treats. This is a popular place for breakfast, brunch, and lunch all week long, the hours vary from location to location, but typically hours run from 7:30am-6pm. You'll find a great assortment of specialty coffee, tea, cakes, croissants, brioche, tarts, and chocolates, along with a complete menu of continental and all-day breakfast items. The cafe is large with plenty of seating, but if you're in a rush you can get a pastry and coffee from the take-away counter. If you do stop in for a sit-down breakfast, you'll get a huge plate for under £10, that will keep you full well into the afternoon. 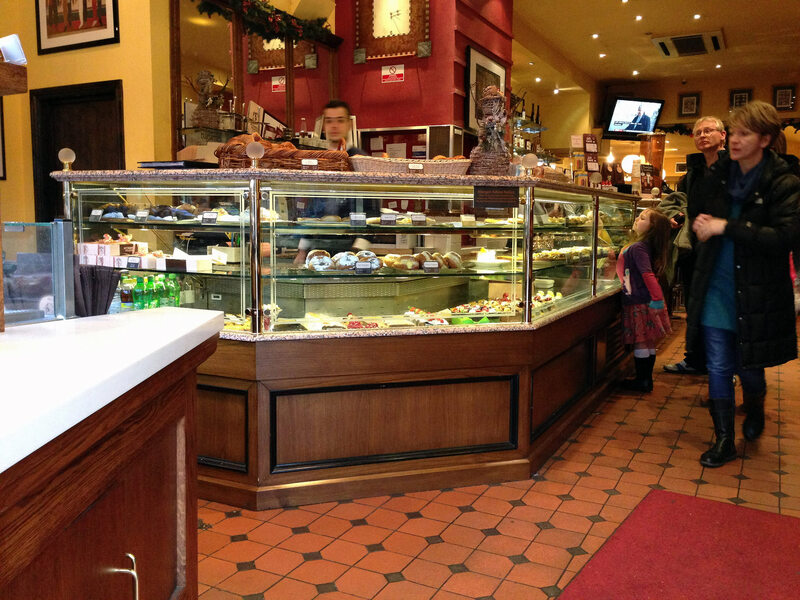 Patisserie Valerie is famous for their cakes though, so if you're smart you'll leave room for something sweet, or at least grab a goodie from the pastry case to snack on later. Since there are several locations (usually located near popular tourist neighborhoods) you're sure to stumble across one sooner or later.